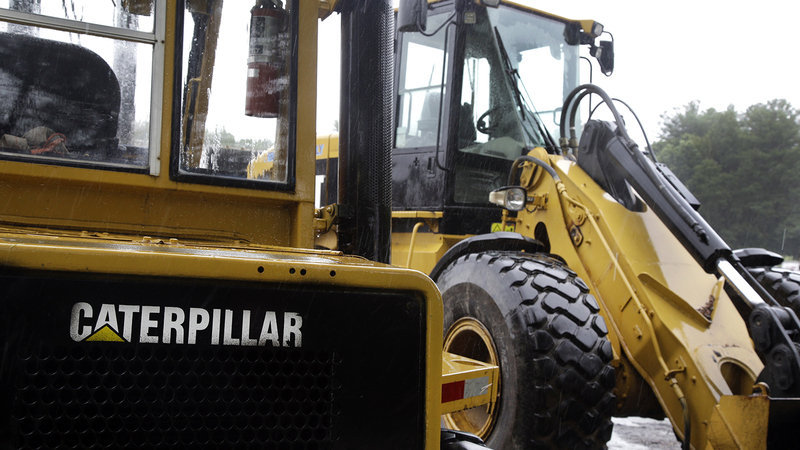 DEERFIELD, Ill. (AP) — Caterpillar fell well short of fourth-quarter profit expectations and the machine maker said that sales have begun to slow in China. Shares tumbled 10 percent at the opening bell Monday, the worst sell-off in more than seven years, and dragged on the Dow, which slid 350 points. It’s a meager start to what will be an active week for corporate earnings, including other industrial companies that have put a lot of stake in China, the world's second-largest economy. Wall Street is keyed in on China and how its slowing economy will play out for companies ranging from Caterpillar to Apple. The country last week reported its weakest annual growth since 1990. Demand for Chinese exports faded last year and the International Monetary Fund said it expects China’s growth to decelerate again in 2019. Making matters worse is China’s simmering trade stand-off with the world’s largest economy, the United States. Under President Donald Trump the U.S. has imposed import taxes on steel, aluminum and hundreds of Chinese products, drawing retaliation from China and other U.S. trading partners. Caterpillar has said that about 10 percent of its sales originate in China. The company is paying more for materials, and has said that it would raise prices between 1 percent and 4 percent this year on engines and machines to counter rising costs. “China’s growth slowdown could be faster than expected especially if trade tensions continue, and this can trigger abrupt sell-offs in financial and commodity markets” — something that happened when Chinese growth sputtered in 2015, said IMF chief economist Gita Gopinath last week. China’s cooling economy had already begun to reveal itself across a broad array of U.S. economic sectors. Apple CEO Tim Cook said in a letter to shareholders this month that demand for iPhones is waning and revenue for the last quarter of 2018 will fall well below projections, a decrease he traced mainly to China. It was a rare warning from Apple Inc., and its stock fell 9 percent in a day, wiping out about $67 billion in market value. Caterpillar earned $1.05 billion, or $1.78 per share. Stripping out restructuring costs and other items, earnings were $2.55 per share, which was 43 cents short of analyst expectations. Last year, the construction equipment company lost $1.3 billion in the quarter, or $2.18 per share, but at that time it was dragged down by an enormous charge related to tax reform. Revenue climbed to $14.34 billion, $12.9 billion, led by increased sales in its resource industries segment. Revenue for all of 2018 was $54.7 billion, up 20 percent from $45.5 billion in 2017. Profit for the year was $10.26 per share, compared $1.26 in 2017. Adjusted profit per share was $11.22, up 63 percent compared with 2017. Caterpillar Inc., based in Deerfield, Illinois, anticipates 2019 earnings in a range of $11.75 to $12.75, roughly in line with expectations.